Here are some German Christmas Traditions for kids that you will ALL love! The German Advent Wreath was created by Protestant Pastor, Johann Hinrich Wichern, to help the little kids at his mission understand just how much longer they would have to wait for Christmas. So, the Advent Wreath really started out to be for kids! In our home, every Advent Sunday, the lighting the weekly candle or candles on the Advent Wreath was a task my sister and I shared. It felt like such an awesome responsibility! Not only did I get to hold a match, I was in charge of making sure the right number of candles were lit. The table would be set for a special German-Style Sunday Breakfast with Soft-boiled eggs, “good” bread, Aufschnitt, real butter and maybe some Stollen or other German sweet bread. Mom even put the jam into special crystal jars so it looked nice. In the center was the Advent Wreath. Breakfast with Candle-light was made extra special because we ate off of the “gute Gischirr” (good dishes). And in the afternoon… if we were home… Kaffee and Kuchen at 3. Sometimes with friends, sometimes just family, always with the candles and music in the background. I know it was extra work for my mother (and we did help a bit)… hand washing dishes, washing and ironing her mother’s tablecloth… all so that Advent Sundays were special. Another way for kids to keep track of “how many more days until Christmas!? !” is an Advent Calendar. Every day a little door would be opened to reveal an image, a poem or (in especially good years) a piece of chocolate!! You could only open one door per day… opening more did not make Christmas come any quicker! It was an exercise in patience, and it saved my mother having to keep track of days for us. This little daily surprise always felt so exciting! We had them hung on the wall in the family room, so every morning we’d run to open a door! The Advent Calendar probably helped my math skills along as I learned to count up and down… “how many more days!” Today there are so many options to choose from! Simple paper calendars with pictures, Advent Calendars with toys (I love those, but taking it back apart is fiddly), you can even make your own with paper chains or story books! Almost a week into December, and kids are already getting excited! St Nicholas day is a nice fill-in for kids until the Christkind comes on the 24th. On the evening of Dec. 5, children will put freshly shined or cleaned shoes in front of the door in anticipation of St Nicholas filling them with chocolates and small treats. If you REALLY wanted to make St Nicholas happy, you could add a bit of straw to your shoes for St Nicholas’ horse. Some kids even had St Nicholas stop by in the evening to check up on you… and make sure you were behaving. (A cute ask a neighbor or family friend to dress as St Nicholas). He would read from a book, and weigh out the good and the naughty. His sidekick, Knecht Ruprecht in the North and Krampus in the South, might accompany him to deal with the bad kids. My mom loved to keep us busy (there was not “I’m bored” in our world). During the holidays we baked, cleaned and made Christmas Crafts! We would spend the afternoon making simple straw ornaments or paper snowflakes. Sometimes we made Salt Dough crafts (Springerle Molds , cookie stamps and cookie cutters are great for this). Today, I make beaded ornaments with my kids (using the many beads in their bead box, or Perler beads). Our ornaments didn’t always make it on the front of the tree … but we could hang them from string in the window. Here’s your chance to sing out loud without worrying that you don’t have a good voice! 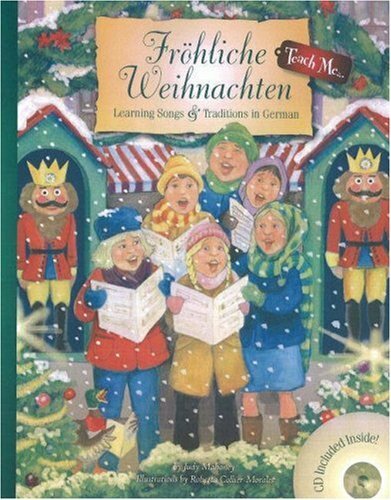 Kids love to sing, and German Christmas Carols easy and fun to learn. We would always meet with other German friends on the 2nd or 3rd Advent Sunday, lyric sheets were passed around, and we would spend the afternoon singing and eating cookies. Sometimes poems that we learned in German School would be recited… there were always grown-ups who knew a few too… It may sound a bit old fashioned, but all of us gathered together was a special memory. There are special post offices in Germany where every letter to the Weinachtsmann (Santa Claus) is opened and answered (as long as it arrives 10 days before Christmas). HUNDREDS of thousands of wish lists and letters arrive each year in up to 53 languages. What a sweet way to wait for Christmas. My mother was absolutely adamant that in the days leading up to Christmas Eve, we would clean our rooms completely! Books on shelves, toys in toybox, games on shelves, and stuffed animals on the bed or in the chair. And give our dolls, the special attention and care they deserved. Dolls would be wiped clean, and dressed in clean (and ironed!) clothes… then lined up on the bureau. Why? Well… if the Christkind doesn’t think you can care for the things you have… why should you get new toys? As a child, cleaning was never my favorite thing… but as an adult I see the sense in it. Handing a child something new when they treat the things they already have shabbily, it’s hard to give them more toys. On Christmas Eve, along with our gifts, my sister and I (and the adults in the family too) each got a Plätzchenteller/Bunter Teller. What’s this? A Cookie Plate of our VERY OWN. Loaded with all of our favorite Christmas Cookies! Spekulatius, Vanille Kipferl, and Pfeffernusse! There was also a Chocolate Santa! and other chocolate treats. And my personal favorite… it was the one time in the whole year when I would get my own Nougat Bar…. (my sister would get Marzipan…). Kids may not be as excited about a cookie plate anymore, but when I was a child it felt so good to have a plate of sweets… JUST FOR ME… with my special favorites. In Germany, the Christmas Tree is not set up until Christmas Eve...and it happens in a closed room that is OFF LIMITS to kids. This way, after the Christkind drops off the gifts, the room and the tree are revealed for the first time in candle light! All glittering and magical! Granted, in the US, this is not practical… so many of us have open-plan homes, and closing off a room would be impossible. Add to this, many families put their tree up weeks in advance. So, my mother developed a work-around. Our Christmas tree would go up a few days before Christmas, and we would all help to decorate it. (Careful with the Lametta!!) Then, on Christmas Eve, while we were in church, the Christkind would appear… bring gifts, light candles, turn on music, dim the house lights… and basically set the stage. We would wait out in the car until my mom said we could come in. Amazing! the living room would be lit up by candles and the light from the tree. The Pyramids would be spinning, and the tinsel glittering. Presents under the tree, and plates of cookies. The house would smell delicious from the Gluhwein on the stove. But the most memorable part of all… that moment before we opened our gifts. Standing there in the Living Room with my family, singing Stille Nacht, just being together with the wonderful glow in front of us. It was like Magic. 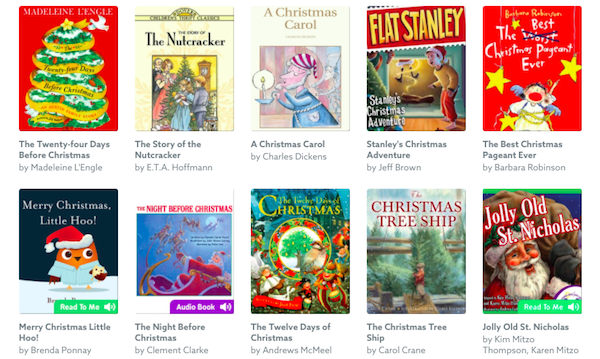 In earlier years, Christmas was special because it was the only holiday that focused on Children. The focus wasn’t just on gifts, but on memories … and special family time. Wouldn’t it be nice to find that again? The German St Nicholas Tradition- What is St Nicholas Day? What to Buy at German Christmas Markets- Check Our List, then Make Yours! previous Krampus in German Folklore - What IS Krampus? next Who are the Companions St Nicholas Travels With? You’re info was very informative. I never knew that the tree not being put up until we were in bed was a German tradition. My grandmother’s family were German so this must be how it began in our family. Lots of work for my parents! OH yes… on the other hand… Christmas a few generations ago was less hectic and commercial. Bringing back so many memories. Hideing the Christmas tree was a day we children would be well behaved. didn’t want to scare away the angels. I remember putting my ear to the door and told my mother, I heard the angels flying. one of my fondest memories. Yes! This is the way we were ,raised, in our German household! All eleven of us, were only permitted to go into the room to see the tree, when we heard the tinkle of bells! Oh! What a thrill. A cousin always visited as Kris Kringle, and gave us a small gift. This inspired me so much, that when i was a young woman, I made my own, Kris Kringle suit and my younger sister and I would drive around to all of our families and friends, so that I could give each child a Candy Cane and a Coloring Book, on Christmas Eve. I even had a corn-cob pipe!! Precious memories! I am now, 86 and still have my outfit, which my younger son is saving for posterity! Within our family (while yet in Berlin, Germany) all of the above traditions were practiced by my mother. While we were still in school during the day, she would work at baking and all other preparations. Even though the tree was bought 7-10 days before Christmas Eve, she would hang in upside down outside our kitchen window. Then the day of Christmas Eve, the living room doors were locked and we were not allowed to enter. She prepared a special meal and at 6 pm all the church bells would start to chime and ‘ring in Christmas Eve.’ We eat, get our ‘bunter Teller’ and then at midnight it would be off to church for the special Christmas celebration. After the service, home, to bed and the next morning St. Nicholas would personally come to our apartment. He’d have a big sack with unwrapped (but tagged) presents and each one of the kids would have to recite a poem, Scripture or even sing something special before he would reach into the sack and give us our presents. We also had two Christmas days. The first one would be spent at home with our new toys and the second one was visiting relatives and spending the day with them. Oh, the memories. Christmas growing up was just like you described – every detail of it! Advent and Christmas are much different for Americans, so we share our traditions with friends and they love it. Just like you, we’re raising our kids with the magic of German traditions and togetherness. Thank you for sharing sooo many details! I’m looking for information on a German (i think) Christmas tradition which we did as kids from my Grandmother who lived with us- under the tree we had a white blanket that we would make a ” landscape ” of hills etc. and we always had various animals staged around (small, celluloid), goats, horses, sheep and the like. I still have all the animals, this always makes me smile and brings back memories. Was this a German tradition ? What was it called ?